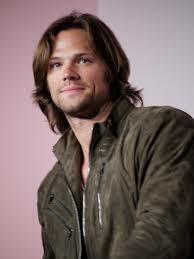 Over the last few episodes of Supernatural, we see that Sam (Jared Padalecki) is ambling around from scene to scene, and episode to episode with his arm in a sling. It is in a sling due to a beating that Sam took from a vengeful, obsessive character. Usually when a character gets a beat down in most shows, the injuries don’t exist from episode to episode. Or at least not as persistent as it has been in Supernatural. So I became curious and did some web snooping. Turns out, per multiple sources, that Padalecki was fooling around, wrestling with Osric Chau, who played Kevin Tran on Supernatural, when they pulled a move that resulted in Jared dislocating his shoulder! Really? Osric put the moves on Jared and took him down? OK, I do not know the details, and when boys frolic and play hard, sometimes they get hurt. At least they didn’t put an eye out! LOL. So the sling that “Sam” is wearing is real gang! And the Supernatural creative team wrote it into the story nicely. Well, as best they could. Ha, yep, he definitely did!!! I just watched S10 ep.6 AGAIN on Netflix "Ask Jeeves" and this time I looked up who the Memorial was for and I'm glad I did because I even found out about Jared's arm sling! I've been looking from episode 2 episode trying to figure out what I missed, or where it came from. I KNEW I HAD to be written in !! Haha I just love this show ! These characters are too cool for tv. Come on Kripke give us a full length feature film. Already own all seasons on disc. Big screen is the next logical step. Hell, If Chris Carter could do it with The X files. So could you.